A young woman has horrified many after she was found guilty of murdering her illegitimate infant son because of his persistent crying. The 23-year-old woman, Wang had gotten pregnant out of wedlock for the second time with her long-term boyfriend, named only as Qiao, reports People's Daily Online. 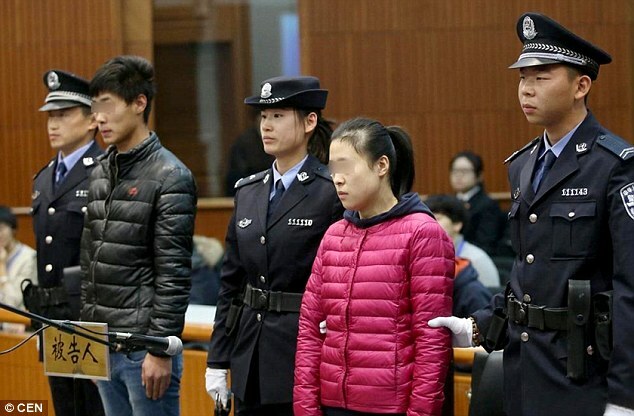 Ms Wang is said to have stabbed her new baby repeatedly with a pair of scissors shortly after he was born in April, before Mr Qiao dumped the corpse the next morning in a bin near their flat in Haidian District, Beijing.Ms Wang claimed to have had no knowledge of being pregnant until she went into labour on April 23 of this year and said that the child 'cried all the time' after his birth.She said that the baby was delivered without any medical assistance at the couple's flat, and that she cut the umbillical chord herself, claiming she stabbed the boy 'by accident' as she attempted the procedure. 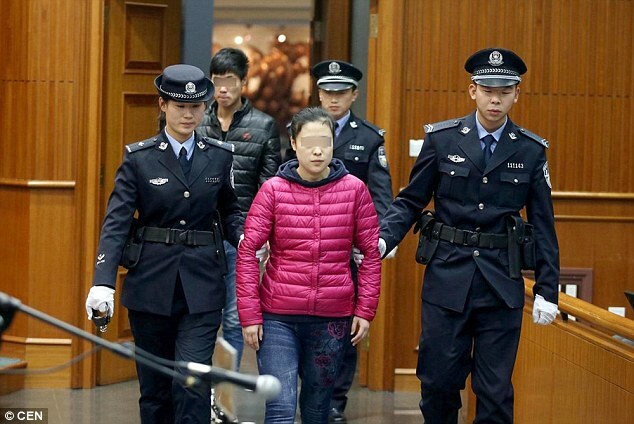 Thinking she could be understood by the newborn despite having previously been to medical school, prosecutors found that Ms Wang threatened the infant by saying 'I'll poke you if you cry' before using the scissors to violently stab the baby's chest and neck, causing acute hemorrhaging. Ms Wang has been charged with intentional murder and Mr Qiao with destroying evidence by the public prosecutor in China, although their sentences have not yet been announced. Mrs Wang and Mr Qiao, first met back in 2012 and subsequently entered into a long-term relationship.